The Ogun State government has declared Tuesday, June 12, 2018, as a work-free day to enable residents to celebrate the Democracy Day. The Secretary to the State Government, Taiwo Adeoluwa disclosed this in a statement on Saturday. He noted that the day would also be used to celebrate the recent conferment of a posthumous national honour of Grand Commander of the Federal Republic on Chief Moshood Abiola by President Muhammadu Buhari. The Federal Government had on Wednesday, June 6, conferred the national honour on Abiola, an illustrious son of the state and declared June 12 as the nation’s Democracy Day, which from 2019 will be a National Public Holiday. The Amosun-led administration had consistently declared June 12 as a public holiday in the state in recognition of the democracy hero and annulment of the June 12, 1993, elections. 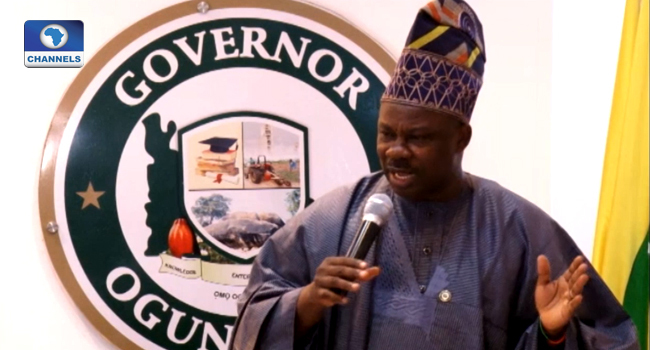 “This year will be no exception as befitting events including a Democracy Walk to be led by the State Governor, Senator Ibikunle Amosun have been lined up for the celebration. “The walk scheduled to take off from the June 12 Cultural Centre, Kuto, Abeokuta at 7: 00 a.m will take participants through major roads in the state capital to the Abiola’s family house at Oke-Ido, Gbagura where prayers will be offered for the martyr,” the statement read in part. The State Government officials, activists, civil society organisations, democracy volunteers, civil servants, labour and trade unions, students, market women/men and other stakeholders are expected to participate in the Democracy Walk.